In her article “11 Tips for Freelance Translators from a Project Manager” (The ATA Chronicle, May 2014, pages 12-13), Enas Ibrahim raised a number of issues aimed at improving interaction between a freelance translator and a project manager and, accordingly, their overall performance. Indeed, documenting a translator’s invoice properly and reading the work order carefully are important enough to be mentioned from the project manager’s standpoint. Other experienced project managers would be able to make this list much longer by including more sins typical of freelance translators— from omissions to outright incompetence— and, alas, all of them are undeniable facts of life. However, a translation project is a two-way street and it takes two to tango to achieve a smooth and professional translation project execution. Having worked as both a practicing translator and a project manager for over 30 years, I would like to offer my view of the same problem, but from the freelance translator’s point of view. Generally speaking, both participants in the process—the freelance translator and the project manager— work toward the common goal of delivering a high-quality translation to the client on time and within the project parameters, including the project budget. However, their business drivers, practices, behavior, and limitations are different, if not sometimes conflicting. As in many other industries, translation project management is about the allocation and reallocation of three interrelated resources: money, time, and risks. Naturally, each party involved in this process seeks to maximize its own profit margin and minimize risks. For example, the client wants to receive a translation in 10 days, but the project manager wants the freelance translator to complete it in five days, thus minimizing the risk of less-than-timely delivery and maximizing the project manager’s own work schedule flexibility for the remaining five days. Meanwhile, the freelance translator wants to have seven days for a number of personal reasons. When negotiating the rate or contract price with the freelance translator, the project manager tries to maximize the agency’s profit margin, while the freelance translator does the same thing for his or her own benefit. A consensus in this process is preconditioned on a complete understanding of each other’s business drivers and expectations. 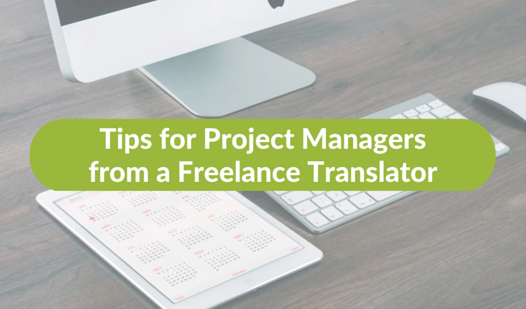 1) Pre-assignment stage: before the project is assigned to a specific freelance translator. 2) Assignment stage: before the freelance translator completes the project and submits it, along with the invoice, to the project manager. 3) Post-assignment stage: before the freelance translator’s invoice is paid in full. Let us review each stage from the freelance translator’s side of the project. Select the two or three most qualified translators from the entire freelance pool in a specific language pair and check their availability. Forward the project files, technical requirements (a project brief), and the project manager’s budget to the candidate freelance translators. Receive and review proposals from the candidate freelance translators. Assign the project to the selected freelance translator and issue a purchase order or work order. In reality, however, the actual pattern is often quite different. What kind of translation project is it (for publication, for the client’s internal use, or other)? What is the subject area? What is the format of the source file(s)? What is the volume and how is it calculated? What is the time frame/deadline? Are computer-assisted translation tools required? If yes, is a translation memory available and how reliable is it? What are the special requirements and/or preferences, if any (e.g., unit of measurement conversion)? Are there any graphics and, if so, how are they supposed to be handled? Is the assignment part of a larger project? If so, are other translators involved? Are any background/reference materials available, including prior translations, glossaries, style guides, etc.? Does the project manager assume that the freelance translator will do a post-editing review and/or galley proof for free? Does the project manager anticipate any revisions, whether on-the-fly or after the translation is completed? For any experienced freelance translator, it is obvious that one or more of the parameters here may become a stumbling block when making a decision on whether or not to accept the project. Unfortunately, there are many project managers who are unaware of this. Asking the freelance translator to do the legwork (e.g., requesting an itemized work breakdown structure to support the cost estimate), which they then use to hire another freelance translator. Calculating the deadline based on calendar (rather than business) days, conveniently disregarding the fact that the freelance translator is a human being who needs some rest and may have a family. Holding back substantial aspects concerning the project that will affect the freelance translator’s time or labor. Not answering the freelance translator’s questions or failing to respond until the project is close to the end. Providing a translation memory generated from a poor-quality translation (or even a machine translation). Delaying the work order and/or failing to include pre-agreed terms and conditions. In addition, the prospective translator needs to pay particular attention to how some project inquiries are worded. Such practices alienate seasoned freelance translators, make them unwilling to work with certain project managers, inspire distrust, and, in the long run, substantially reduce the resourcefulness of the freelance translator pool used by a given project manager. Article continued in Two to Tango: Tips for Project Managers from a Freelance Translator (Part II). This article was originally published in The ATA Chronicle (October 2014), the monthly magazine of the American Translators Association (www.atanet.org). 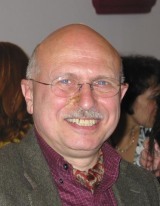 Igor Vesler was a senior research associate at the Ukrainian Institute of Scientific and Technical Information in Kyiv, Ukraine, from 1973 to 1989, and the manager of production and product development at the American Institute of Aeronautics and Astronautics in New York from 1990 to 2000. 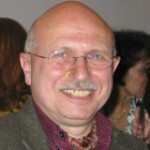 Since 1975, he has been a freelance Russian and Ukrainian legal and technical translator and interpreter. Currently, he is an independent consultant at Diken Research (New York City), a language services provider for industries such as oil and gas, nuclear engineering, aerospace engineering, and international banking. An ATA-certified English>Russian translator, he is also accredited by Berlitz International as an English>Ukrainian court interpreter. In addition to ATA, he is a member of the Israel Translators Association and the American Institute of Aeronautics and Astronautics. Contact: vesler@gmail.com. These are useful responses to give a PM. Thanks!